The Green Bay Packers parted company with veteran running back James Starks on Tuesday. Starks was a sixth-round pick in 2010 and started as a rookie in Super bowl XLV, but he rushed for just 145 yards and averaged just 2.3 yards per carry in nine games last season. Starks didn’t clear the concussion protocol and missed the NFC Championship game loss in Atlanta. Starks also missed four games earlier in the season with a knee injury. Green Bay Packers running back James Starks remains in the teams concussion protocol, the result of a car accident he was involved with on December 12. The accident took place in the early morning of the 12th at the intersection of Webster Ave. and Radisson St. on Green Bay’s north side. According to the police report, Starks was driving northbound on Webster Ave., when his vehicle was struck by a Contract Transport Services LLC truck driven by 63-year-old Robert Boeck of De Pere. The report says Boeck was headed east on Radisson. After stopping at a flashing red light, he reportedly proceeded into the intersection, hitting Starks’ vehicle. Drugs and alcohol were not factors in the crash and Boeck was cited for inattentive driving. 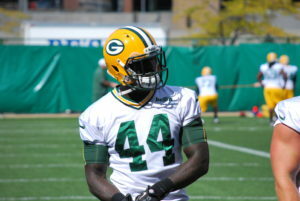 Green Bay Packers running back James Starks was added to the injury list this week with a concussion. It turns out that injury didn’t take place on the field. Starks was involved in a car accident on Monday. 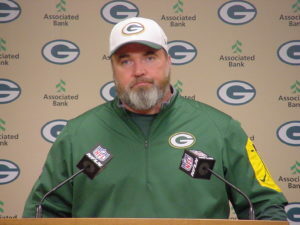 Coach Mike McCarthy said other than the concussion, Starks was OK but didn’t provide any more details. Starks has accumulated just four yards on six carries over the last two games. If he can’t play Sunday, it would leave the Packers with Ty Montgomery and Christine Michael as their primary ball carriers. Montgomery’s nine-carries last week was a season high. He’s averaging 5.2 yards a carry. 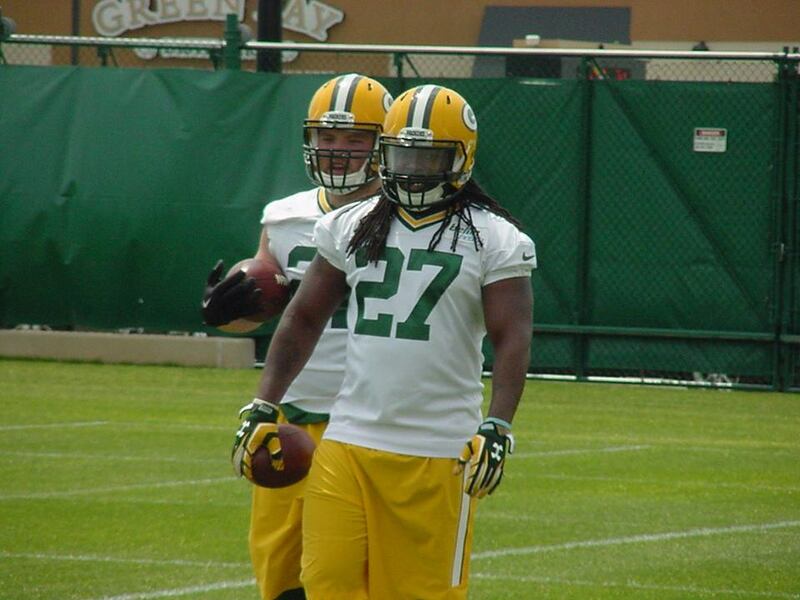 Michael has 59 yards on 20 carries in three games since signing with the Packers. Aaron Rodgers didn’t practice on Wednesday and isn’t expected to do much, if anything on Thursday as the Green Bay Packers get ready for Sunday’s NFC North matchup against the Chicago Bears. Rodgers worked in the teams rehab group on Wednesday, as he continues to nurse a right calf injury sustained early in last week’s win over Seattle. Rodgers went through a similar injury back in 2014, although it was an injury to the opposite (left) calf. Rodgers was hobbling around during the game against the Seahawks, but the end result wasn’t compromised. In fact, Rodgers may have had his best game of the season. The Packers will spend some time outside today (Thursday), but backup Brett Hundley is expected to handle those practice snaps. The Green Bay Packers did enough to pull out their second straight victory and stay within two games of the first place Detroit Lions atop the NFC North Division. They knocked off the Houston Texans 21-13 on a snowy day at Lambeau Field. Aaron Rodgers completed 20 of 30 passes for 209 yards and two touchdowns, helping the Packers improve to 6-6 on the season. The Packers couldn’t pick up any ground on first place Detroit. The Lions held Drew Brees without a touchdown pass in New Orleans and beat the Saints 28-13. Detroit has a two game lead on the Packers with four left to play. 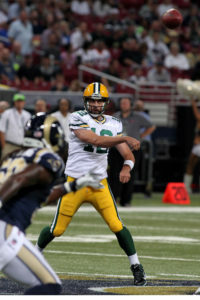 By the time the first quarter was over, the Green Bay Packers had fallen behind 21-0 to the Tennessee Titans. In what was the worst performance of the season, the Packers suffered their third straight defeat, falling to the Titans 47-25. The Packers allowed 111 points in the three games and have dropped four of their last five overall. 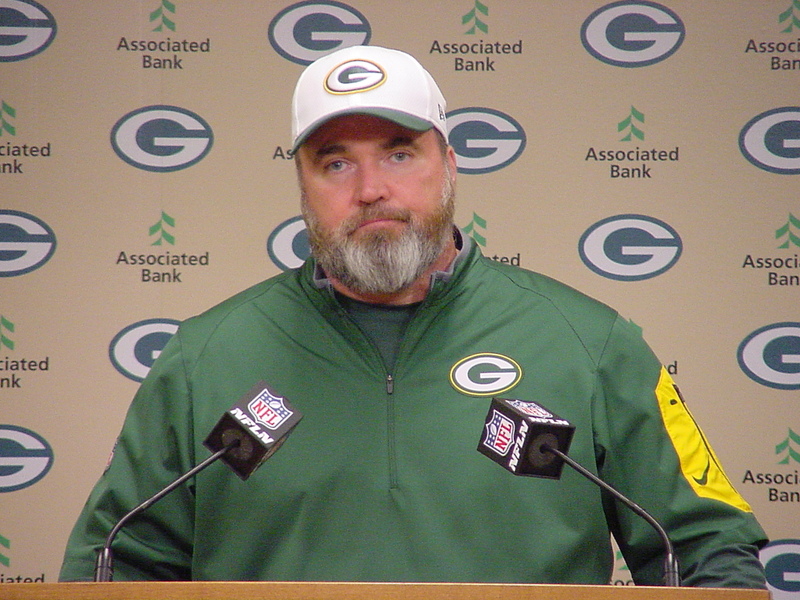 The Packers allowed 30 or more points in each of the four losses. Aaron Rodgers was sacked five times and the Packers (4-5) were penalized 12 times, including four personal foul penalties. 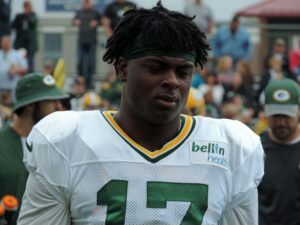 Depending on how their padded workout goes today, both players could be ready to return to action when the Packers face the Tennessee Titans in Nashville on Sunday. The Packers are desperate for Cook to return after missing six weeks with a high-ankle sprain that he suffered in the Detroit game. Without Cook running routes down the middle of the field, the Packers’ offense has struggled. One day after Green Bay Packers coach Mike McCarthy vowed to run the ball more, ESPN’s Adam Caplan reported that the Packers had free agent running back C.J. Spiller in for a free-agent visit. Spiller was released by the New Orleans Saints last week, just over a year after he signed a four-year, $16-million contract. 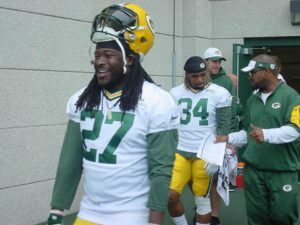 Following a four-carry, 24-yard performance against the Cleveland Browns a week ago, Green Bay Packers running back Eddie Lacy followed that with 45 yards on nine carries with a touchdown in Thursday nights 20-12 win over the Oakland Raiders. The Packers offensive line did a great job with opening holes and when Lacy needed to make a move, or break a tackle, he did. Lacy’s one-yard touchdown run finished off a 14-play, 74-yard game opening drive that chewed up seven minutes and 36 seconds.